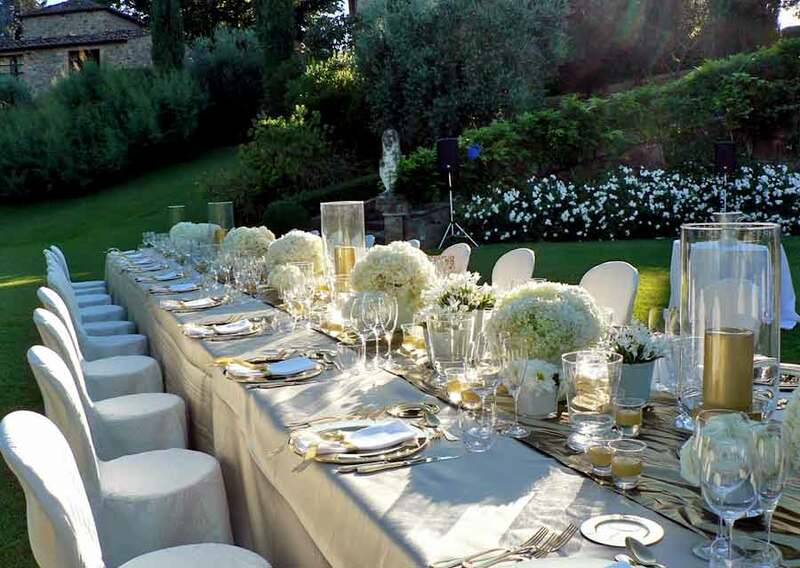 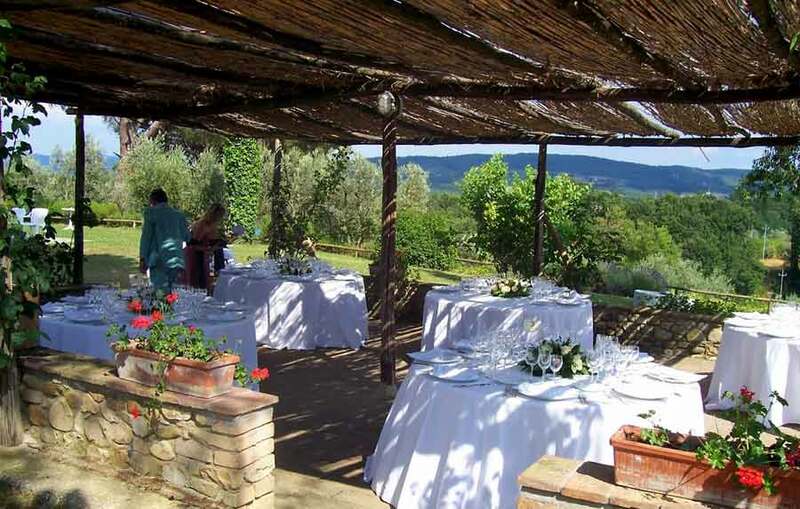 One of the most romantic venues imaginable, and set in a charming estate with wonderful views over the rolling Tuscan countryside. 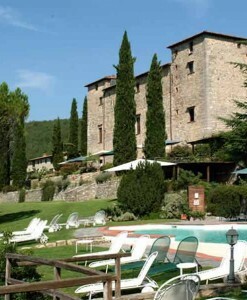 Completely immersed in a natural environment, surrounded by olive trees, and its own vineyards, this lovely old farm, with its wonderful swimming poolm, is in the heart of the Chianti Classico, just 15 kms outside Florence. 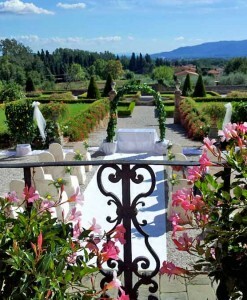 Set atop a hill, there are panoramic views of immense beauty. 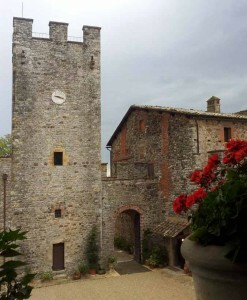 The farm is made up of a little borgo, or village, of ancient farmhouses, and dates back to the Renaissance period of the mid 1400’s. 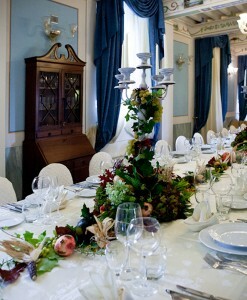 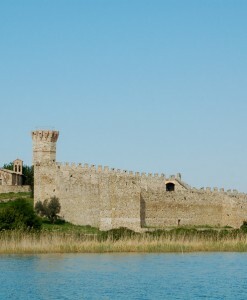 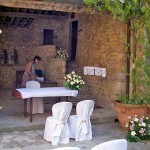 A real sense of history prevails here, and it’s the perfect spot for a wonderful wedding, perfect for groups of 20-45. 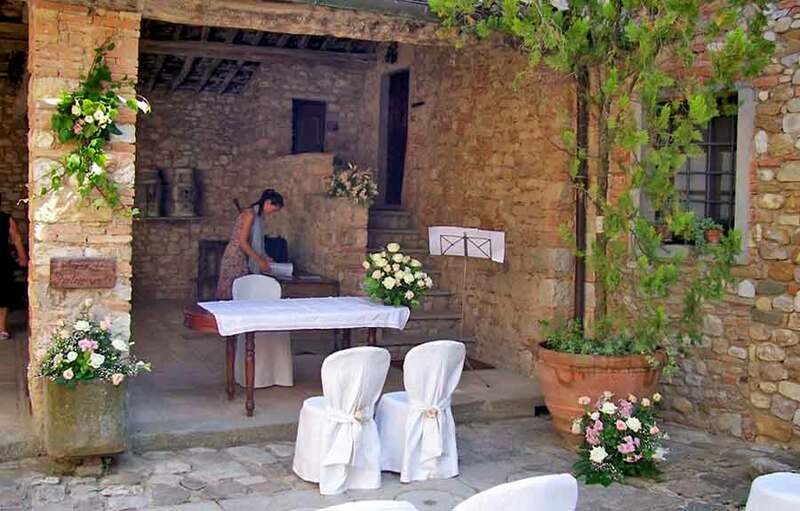 Your guests are accommodated in delightful apartments, which retain their original features combined with modern comforts. 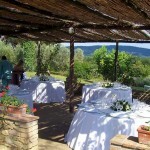 Your wedding can be held in a variety of romantic locations on the estate, and there is also an internal taverna that can be used for pre wedding day dinners or in case of poor weather. 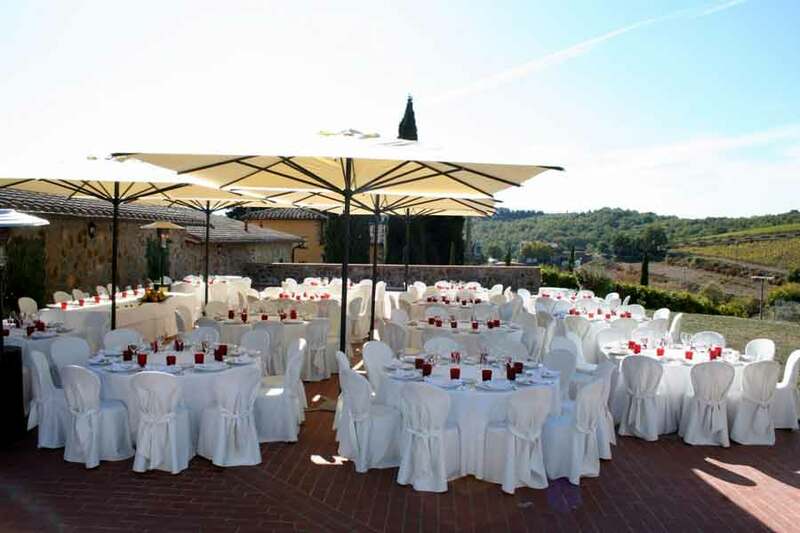 We can arrange al fresco dining and dancing on the wedding day, as well as pre wedding welcome dinners and farewell brunches. 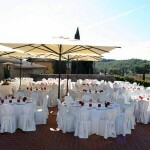 After dinner dancing can continue under the stars until around midnight, but its also possible to dance until the early hours in the taverna. 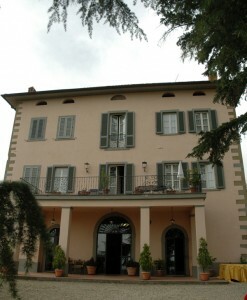 Wine, extra virgin olive oil and other estate products are available for sale. 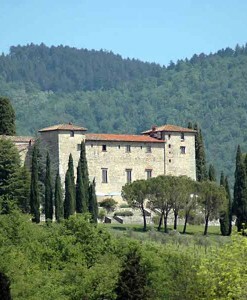 A three night exclusive is required at this property. 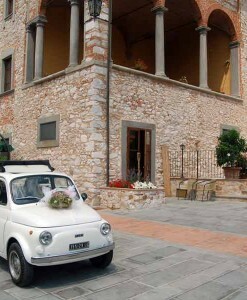 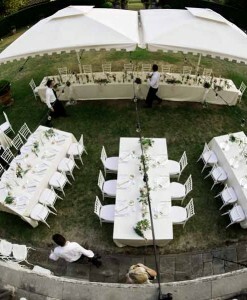 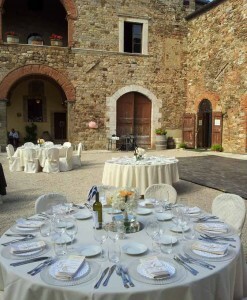 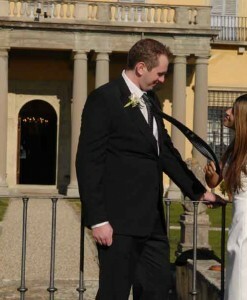 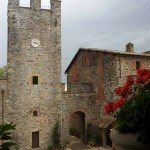 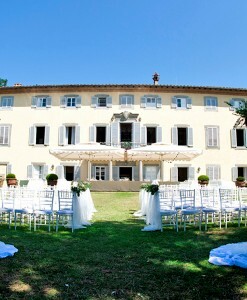 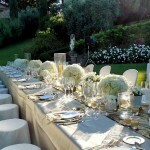 Civil weddings can be held in a nearby Tuscan village, while Catholic religious weddings can, uniquely for Italy, be held in the open air courtyard at the farm. 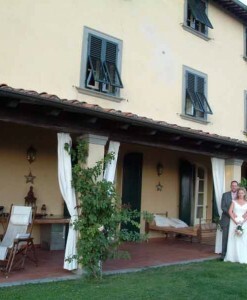 Symbolic weddings can be held in any one of a number of enchanting points on the farm. 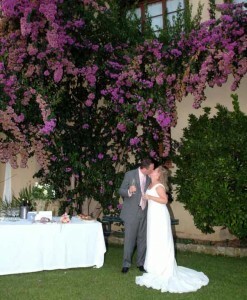 Whichever you choose you can be sure of a very special day and a memory to cherish.